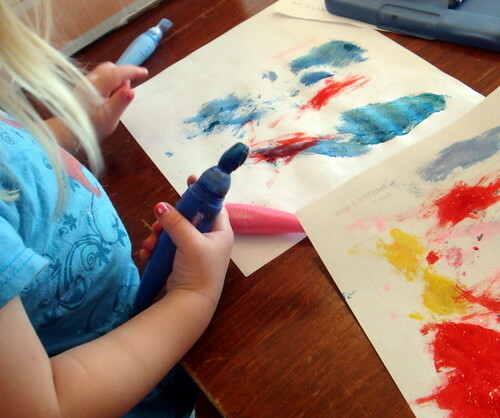 Great way to keep the kids busy and in one place ... art time. :) So much creativity flowing ... I love looking at their projects and seeing the wheels turn in their heads. 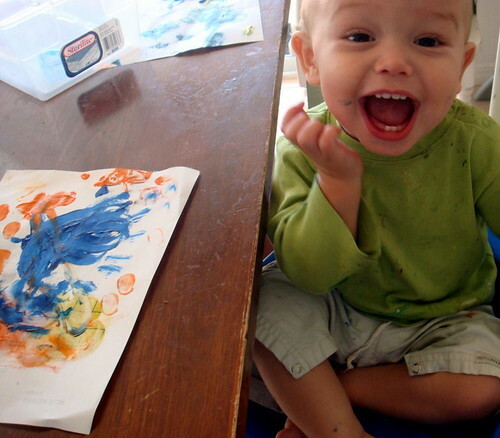 Today was River's first adventure in painting. 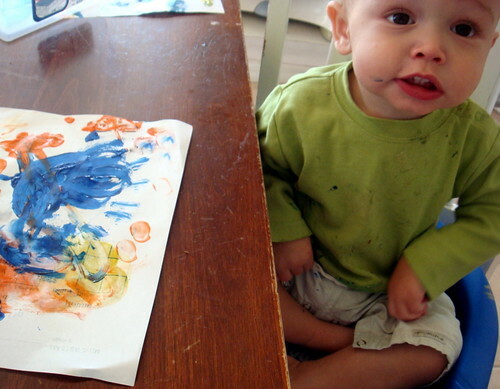 He got as much paint on himself as he did on the paper (Mama helped with the paper painting a little!). **The paints we used today were Elmer's paint and brush paints (the paint is in the brush handle, much less mess) and Crayola finger paints. Both wiped up super easily and came off skin with no effort whatsoever (and they're non-toxic, of course). Aaaw he's gorgeous! Must look out for paints like that for Madelyn. 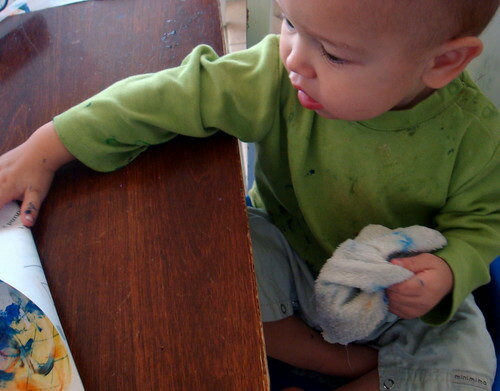 She loves drawing and almost better at it than her big brother who has very little interest. That third picture is just precious! Love his expression!